Google+ Raising a Trilingual Child: Your Toddler Doesn't Like to Read? Advice for parents of monolingual, bilingual or multilingual children. Your Toddler Doesn't Like to Read? Advice for parents of monolingual, bilingual or multilingual children. You are on a couch snuggling with your baby totally excited to read him a new book. You did not even finish a page and suddenly your child is up and running around, grabbing toys. This probably happened to many of us. But why did it happen? The first thought: he did not like the book. However, later your child will be reading it or, even more surprisingly, he will be asking you to read it again and again. Most likely he does not understand the meaning of the words. In fact, reading is simple for us adults since we already have a rich vocabulary. But how about our little babies? I decided to use the "do not stop reading right away" rule. When my son moves and is not sitting on my knees, I just keep reading. Initially, I was more "reading for myself": I practiced intonations and master different voices. I could notice that my son was still listening. Calling back to look at the picture and inventing sounds to accompany the text do bring back the attention. You can also rephrase a story using simple words your baby already knows and every time you read it try to add more words to it. Consecutive readings become easier, because the child already heard and understood some of the words. Children learn new words from us through conversation and reading, that will help tremendously to increase the minority language vocabulary. Also, very important: before buying a book check if the pictures match the text. That way you can point out the words on the picture while reading. I was surprised to find out that there is a big number of books for kids with beautiful pictures that hardly represent the text....I find that really non-educational. That said, I wish a fun reading to everyone! Hooray! My 1st book for little readers was published and is available on Amazon! When to start teaching your child to read? 7 principles to keep in mind while teaching your child to read. Kids Radio Stations from Around the World! How to develop early phonemic awareness and reading readiness by using language play with kids from birth to preschool. Multilingual child: How much time do we have to influence a child's minority language development? 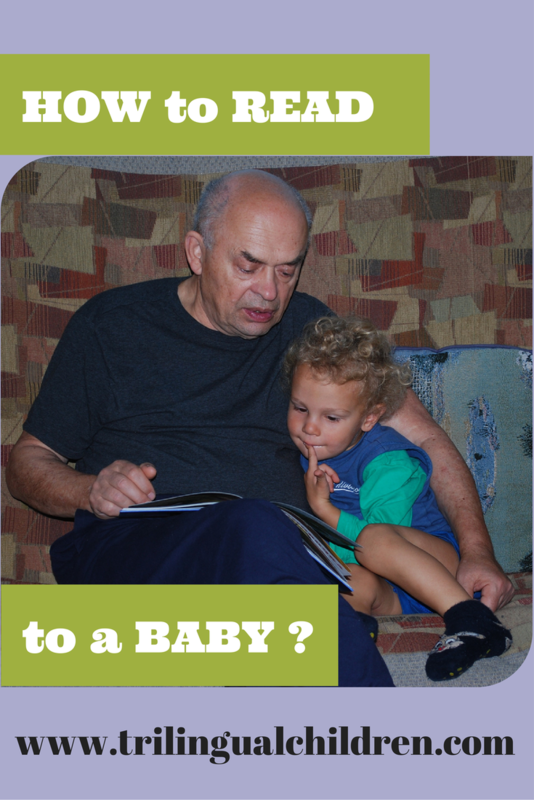 Consistency and showing your baby how fun it is reading. Gracias for the inspiration!